Want to know some of the best ways to help get your flyer approved by school districts and reach more parents? There are some simple practices you should start doing that can make a huge difference in the success of your flyer distribution! Here are some key elements that program providers should pay attention to in order to maximize your chances of your flyer being approved and distributed. 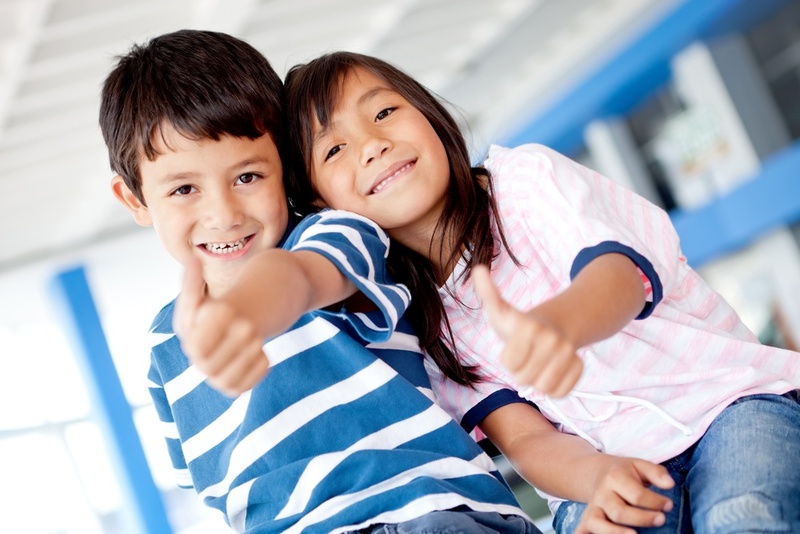 Your flyer should make it clear how your program or event will benefit children or their families! Making sure your flyer contains adequate information about your program is important so that the school district can clearly see why your program makes an impact on student outcomes. 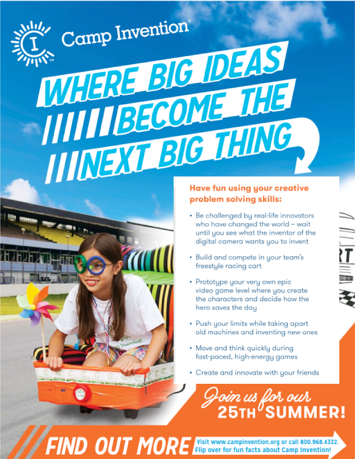 Highlight the skills children will learn when they attend your program and what new experiences they can look forward to. Aside from flyer approval, parents will appreciate learning these details about your programs. When the school district can identify the benefits and positive impact that your organization will have on their students and families, you have a much better chance of getting your flyer approved for distribution to parents! Peachjar flyers are ADA compliant! This means that parents with disabilities are able to receive information from Peachjar flyers via screen reading devices that detect text, then read it back to parents who are visually impaired. This means the ability for your programs and events to reach even more families than before. In order to ensure this process works properly, there is a step in the flyer upload process that program providers must pay close attention to! There will be a box that populates with the text from your flyer as it is "read" by Peachjar's system. It is up to you to be sure all of the text in the box next to your flyer is correct. The text in this area will be what is read back to parents that use screen reading technology. If the text in this box doesn't match what is on your flyer, you run the risk of your flyer being denied by the district! 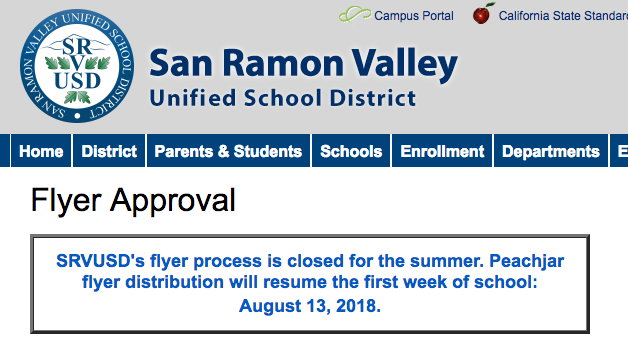 Some districts only approve flyers certain days of the week or months during the summer! Be sure to check each school districts' flyer guidelines before posting (especially if your flyer contains time-sensitive information!) to find out when the district typically approves flyers. Another element to plan for is approval time. On average, it takes the districts about 2-4 business days to review and approve flyers! Remember, district staff don't work on the weekends, so if you submit your flyer on Friday, it's possible it won't get reviewed until Monday! This means that it's always best to try to plan for this approval time and get your flyer submitted in advance, rather than at the last minute. Flyers that contain typos or broken images will be less successful than flyers that don't! Schools want to ensure that parents are getting all the necessary information for them to register their child for programs and attend events. Prior to uploading your flyer, be sure to double check that all of the text is accurate, including any information about where your event or program takes place and the time. Once a flyer is approved and distributed, it can't be edited, so don't be afraid to double (or triple!) check your information! Flyers that are missing information such as contact information or other important program information may hinder the district's approval process! School districts may deny flyers that lack information because they know that parents will need more information in order to register for an event or program. 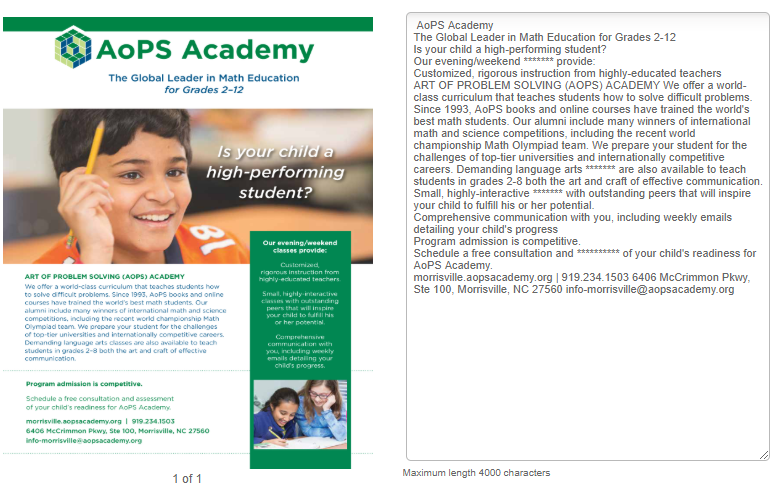 Flyers that contain no information about how to reach your organization will be frustrating and confusing for parents! Be sure that your flyer has all the necessary information to make it as easy as possible for parents to get in touch with you and register for your program! Did you know that each district has a set of guidelines that determine what kinds of flyers they will approve to be sent out to parents? Peachjar has these guidelines conveniently linked inside your program provider account under the "District Guidelines" tab. Checking these guidelines is key to ensure that your flyer meets all of the district's qualifications. An example of this may be requiring your flyer to have both an English and Spanish version. Check district requirements before submitting your flyer for approval to ensure a speedy approval process so your flyer can make it to parents' inboxes! Adding these practices to your digital flyer checklist is a great way to ensure your flyer approval and delivery can go as smoothly as possible. Now that you know some best practices, you're all set to get started on your digital flyer distribution!